We have the pleasure of co-chairing the forecasting stream of special sessions to be held at EURO INFORMS 2013 conference. We would like to personally invite you, both researchers and practitioners, to propose a special session to be organised within this stream - on any particular forecasting related topic you are interested in - or to present a paper in one of the accepted special sessions or in the general session on Forecasting. Sven F. Crone is an Assistant Professor in Management Science at Lancaster University, UK, where his research on forecasting with artificial intelligence has resulted in 40+ peer reviewed articles (including EJOR, JORS, IJF) and received international awards. As the Deputy Director of the Lancaster Centre for Forecasting, with 15 members of staff & PhD students one of the largest units dedicated to business forecasting, Crone has more than 10 years of consultancy experience in corporate projects, including supply chain forecasting (e.g. Beiersdorf, Sanofi-Aventis, Bayer, Celanese, Hapag-Lloyd), retail forecasting (e.g. Tesco, Morrisons, Sainsbury, Wilkinsons), and utilities demand and price forecasting (e.g. DONG, Codelco). Crone regularly provides corporate training courses for the Forecasting Centre, IBF and IEEE worldwide as well as custom-made in-house courses. He has been a regular speaker at 50+ academic and practitioner conferences, including keynotes at SAS' Business Forecasting Conferences F2006 & 2009 and SAS' Data Mining Conference M2009, and served as the conference co-chair of SAS' Analytics Conference 2011 in Orlando. Robert Fildes is Distinguished Professor of Management Science in the School of Management, Lancaster University and Director of the Lancaster Centre for Forecasting. He was co-founder in 1981 of the Journal of Forecasting and in l985 of the International Journal of Forecasting. He has consulted and lectured widely on all aspects of the problem of improving forecasting in organisations. His major concern is that despite all the research companies still stay with old-fashioned systems and methods. The solution, he thinks, is better designed forecasting systems and better trained forecasters. Dr. Fotios Petropoulos is a Senior Research Associate engaged in data analysis, time series forecasting, optimal model selection and business processes for forecasting. He has provided knowledge transfer and consultancy in Retail, Supply Chain, Spare Parts and Utilities. 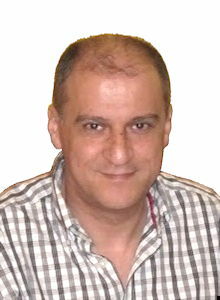 Moreover, he is an expert in software analysis, system design and development of integrated forecasting support systems. He has given numerous seminars and courses while he has presented his research in major international conferences. Information will be published later.